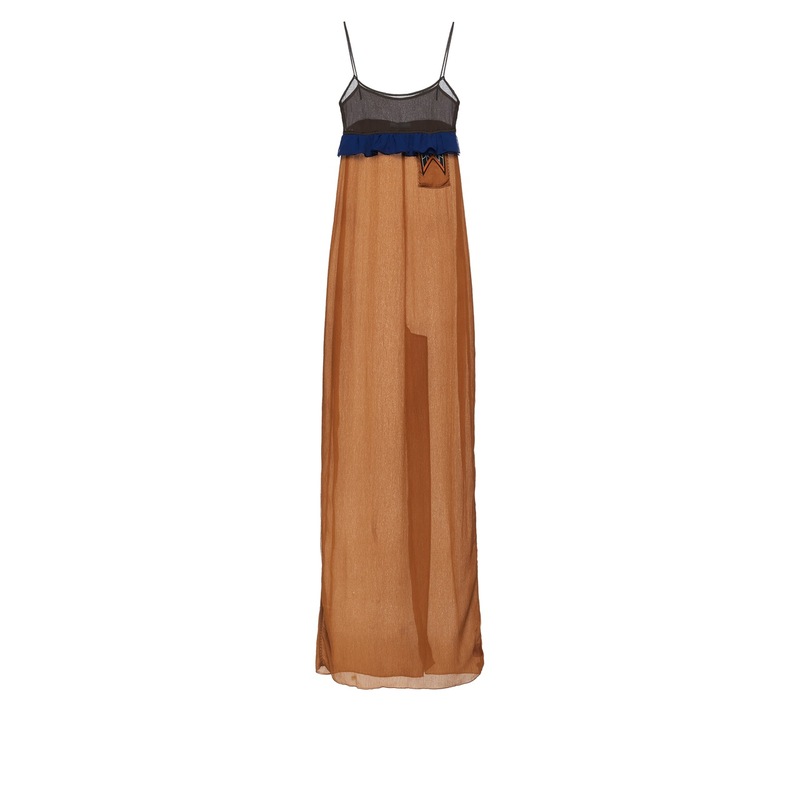 This impalpable silk chiffon dress with spaghetti straps has refined lines. 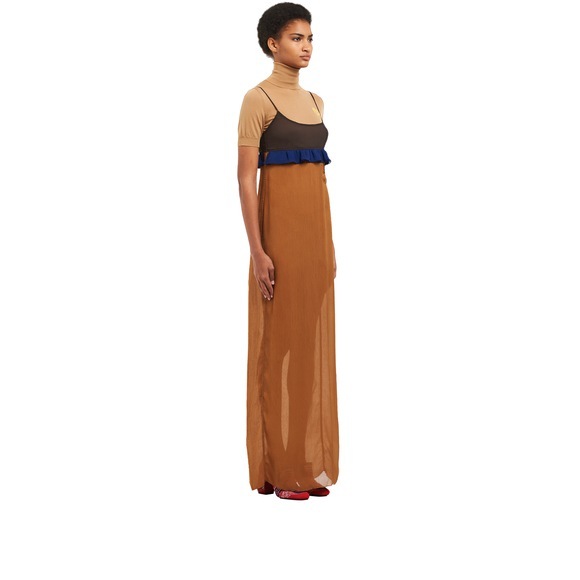 Color contrasts and ruching at the waist enliven the garment. 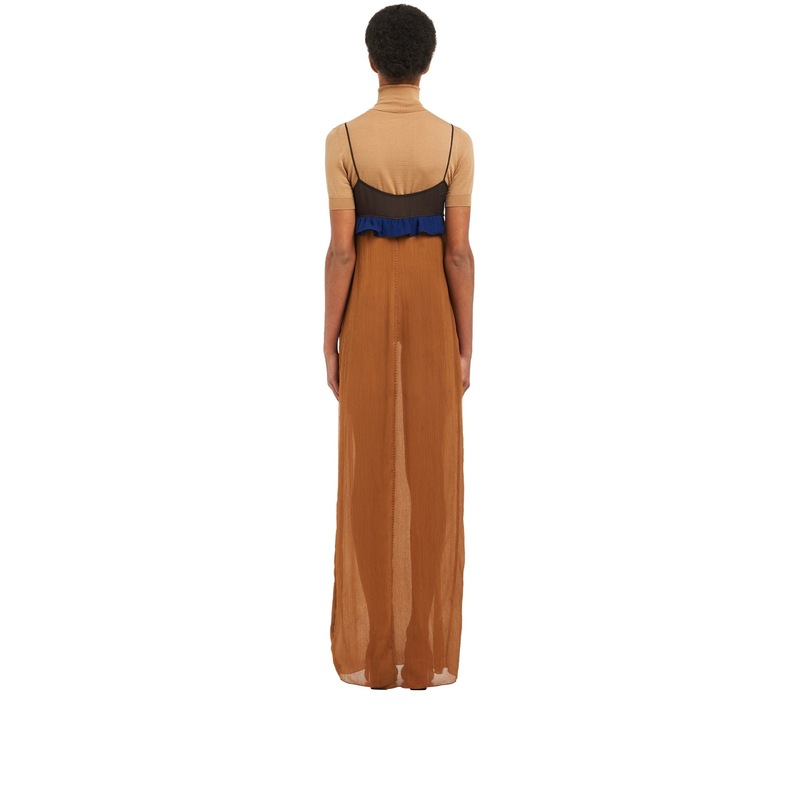 The sides and waist are emphasized by decorative stitching.